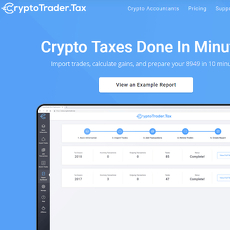 BitcoinTaxes is an income and capital gains service. 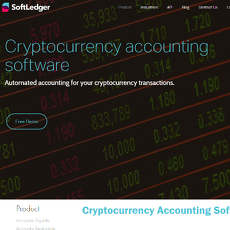 It can be used by everyday cryptocurrency users and there is also a service for accountants and firms. The user's information on income and trades is imported and the software completes a tax calculation. 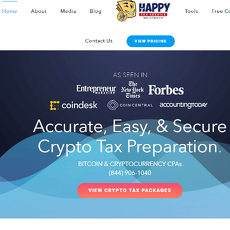 BitcoinTaxes has been in operation since 2014 and supports many jurisdictions and most major fiat currencies. The software supports most major exchanges but advanced cryptocurrency users may face issues if they have used an exchange or platform which is not supported. 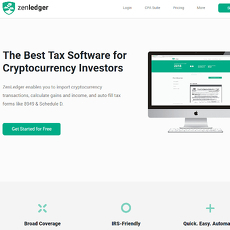 Any cryptocurrency is supported with the software. The software enables users to compare different tax methodologies against one another. The free version of the product can deal with up to 100 transactions. For unlimited, the paid version needs to be purchased and is priced at $19.95. One useful feature of the software is it allows users to import transactions directly from addresses and blockchain. This saves the user having to put together a file to import.